Greyson Michael Chance : I’d do Papa don’t preach! inMusic: Is it true you share a manager with Madonna and Lady Gaga? 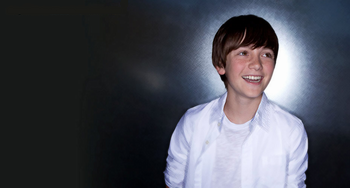 Greyson Michael Chance: I met Guy Oseary the first day I was on Ellen because that is when we were getting a lot of calls from people and we really didn’t know who to go with, so Ellen set me up with Guy Oseary, who was Madonna’s guy and the she also set me up with Troy Carter who is Lady Gaga’s manager. I share both of them yes. inMusic: Have you met Madonna yet? Greyson Michael Chance: I have not met Madonna, I’m really hoping that I will get to someday. inMusic: Would you ever cover a Madonna song? If so, which one?